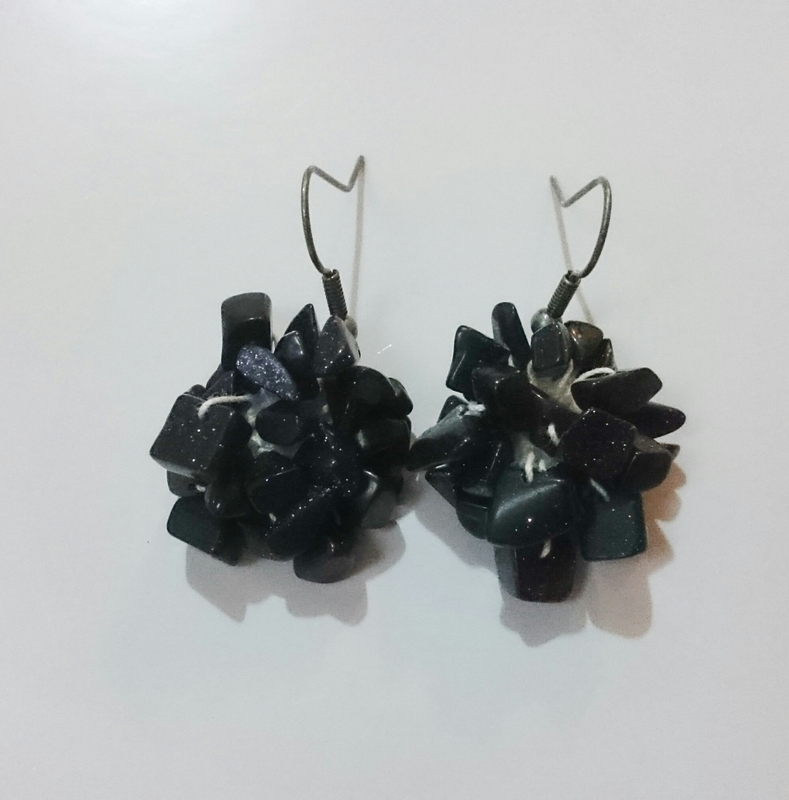 The earrings are made from white cotton and laced with black obsidian shard gems. The earrings are crochetted from white cotton and laced throughout with obsidian gems. 12 gems are intertwined to provide with a round shaped laced earring.